One of the sure signs that Christmas is around the corner, is the arrival in stores of the Advent Calendar. Traditionally a religious concept, counting down to the arrival of Christ, today, it is, like everything festive, a commercial concept. Advent calendars today contain everything from chocolate, to mini luxury beauty products and costs of these calendars are similarly reflected. My grinching aside (I feel a little strongly about how the advent calendar is commercialised and how many people don’t even know or care what it is about) I still wanted to get into the spirit of Christmas. It is after all, just quite literally around the corner! I was gifted with an advent calendar by L’Occitane Malaysia, during their early Christmas tea, as a door gift, and I thought it would be nice to gift it on in return. 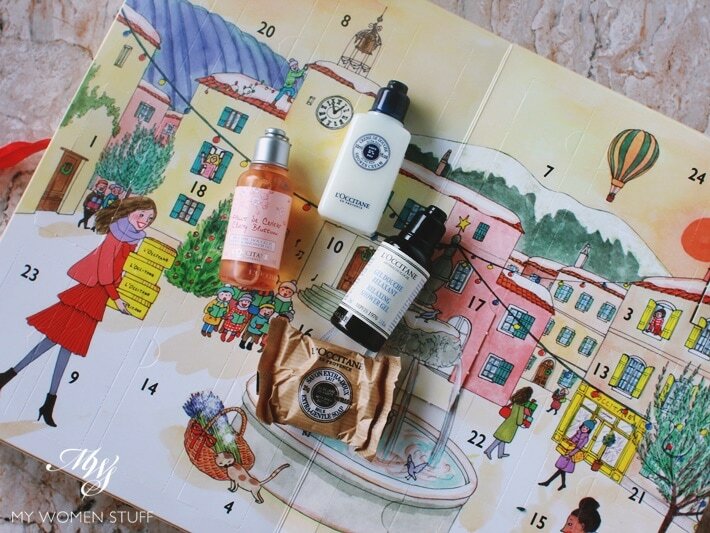 This year, L’Occitane had 2 versions of their advent calendar – One that you see here, is the regular version, and there is another deluxe version in a larger box. I am told that they are, for the most part, sold out. But if you still want one, you may still be able to get it at some of the smaller L’Occitane stores, or in stores located out of the Klang Valley. 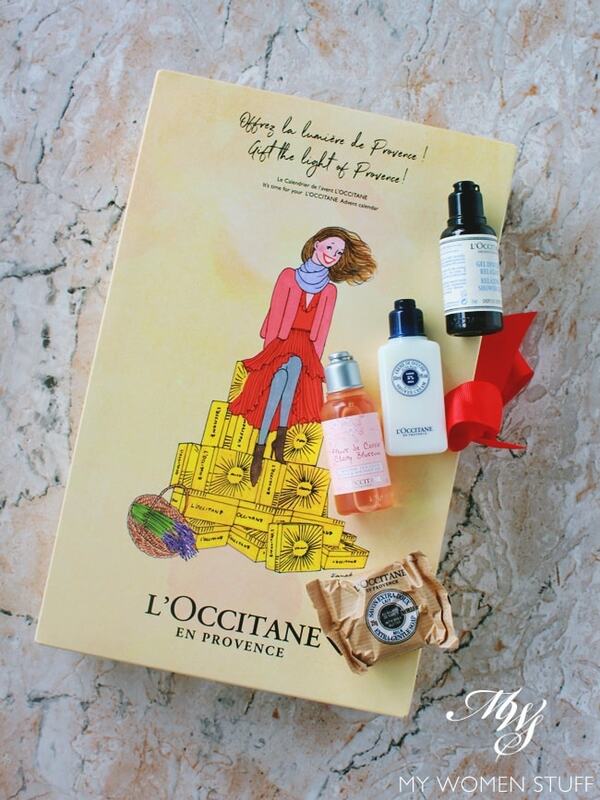 Here’s how you can enter for a chance to win 1 L’Occitane Advent Calendar. Has someone done a random act of kindness for you recently, or have you done a random act of kindness for someone of your own volition? For a bonus entry, follow me on Instagram (@parisbmws) for the bonus question that can pop up any time. I have a small request. If you win (or even if you don’t) consider gifting someone with a random gift or doing a little random act of kindness. It only takes one little act of kindness to bring sunshine to a person’s day. There is just 1 prize. 1 comment per person only in this giveaway (bonus Instagram entry is additional). Deadline for all entries will be 12noon 1 December 2017 (+8 GMT Malaysian time) after which comments will be closed. Winners will be picked at my leisure from the comments received here, and announced on Twitter and Facebook, at the end of this post, and notified by email. There will be no separate post published. This one is open only to anyone having an address in MALAYSIA due to logistics. You can gift it to your friend or family in Malaysia if you like. If any winner named fails to respond after 48 hours, a new winner will be automatically picked so if you don’t check your email, sorry. The winners announced are final and no appeals or complaints will be entertained. NEXT POST: YOUR SAY: Are you interested in local (Malaysian) cosmetics? Do you use any local brands? Will you open up every window in one go, or will you open just one a day from Dec 1 to Christmas day? Hi Paris, I’m Karen. I saw your giveaway post on Instagram. Thanks for the chance. I will prefer to open just one a day. I’m having a week break with my parents since my babysitter away for vacation. I thanks my mom for cooking all my favorite foods. And I also repay them by loving them more and financially support them (because my father not able tender and construction job for to competitive market and lack of housing development). My Instagram account is marmaladenmonkey. Thanks. 1. Will you open up every window in one go, or will you open just one a day from Dec 1 to Christmas day? 2. Has someone done a random act of kindness for you recently, or have you done a random act of kindness for someone of your own volition? I was in Penang recently and it started raining pretty heavily after a meetup with a friend. And with the recent floods, people are worried. I was trying to get back to the hotel and I requested for an Uber ride. Someone did accept the request but I found out later that he did a detour to where I’m at as he was fetching 2 aunties back to their home. Not sure if that counts but I was just thankful cos nobody knew if it was going to flood again (thankfully it didn’t!) and if it did, I’d be stuck somewhere. 1)Will you open up every window in one go, or will you open just one a day from Dec 1 to Christmas day? I will open just one each day until Christmas because isn’t that the true meaning of an advent calender? To count down the days of advent in anticipation of Christmas( I may not celebrate Christmas but there’s just something about the celebration and tradition that just puts a smile on my face)I know this sounds crazy but the suspense of what’s in the next box will keep me going since it’s December and its final exam season. The one surprise gift a day will definitely be a nice reward to come home to after spending the whole day taking my finals in Uni. 2)Has someone done a random act of kindness for you recently, or have you done a random act of kindness for someone of your own volition? I’m usually a very reserved person and I don’t really talk to strangers unless its an absolute necessary(i’ve been trying to change that due to my future career choice) and since it’s the rainy season, it’s been pouring almost every evening lately. I saw someone walking in the rain and I just couldn’t help but offer the person a spot under my umbrella. Although I’m pretty short and I’m very positive that as much as I tried to stretch my arm so that I would be able to cover her I’m pretty sure I rubbed the umbrella against her head many times( I can’t help it she was tall) . It may not be much but I really hoped it made her day. P. S. I love reading your blog. It’s my go to when I’m looking for a good makeup product! Love how you put the Pros , cons and price at the end of each blogpost. For me I will open it one each day. Only then it will have surprise and small happiness each and everyday. My friend just offered me free ride to home tomorrow from KLIA for the long weekend! Happy holiday! 1. I will open up a window one a day so that I can have a different surprise each day! Also that I wont be lost in mind into which shall I try out first if I had all in a go. Having a different surprise each day will be more exciting, who doesn’t love a present or surprise everyday especially when it comes to beauty products. 2. I deeply appreciate every act of kindness I receive from strangers in my every day routine especially when I travel with my baby daughter which is currently 18 months old. Just a simple act such as opening the door for me, letting me have their queue in line for payments or even just giving me their seats in a train or in the mall. These gestures, although doesn’t seem very significant, but it does make a huge difference for me as a mom with a baby hanging on me! I truly appreciate these small gestures! It would be so great if I could get this and share it as a gifts with my girlfriends. 2. I’m in the midst of a 9-month training for work and Im thankful for the assistance ive received in kind in the past few days from a friend I only knew better since June this year. Towards the close of the year and I am feeling a little bit nostalgic. I would choose to open a ‘random’ window each day. I love the surprise build-up factor this way. Heh-heh…. Generally people are very kind to me and for that I must count my blessings. Once, a Nepalese factory worker lent me his umbrella while he himself quickly skipped across the road in the rain with a big smile on his face. Priceless! 1. I’ll open 1 window at a time, it gets me more excited & it’s a treat! 2. I gave a gift to a random person in the office, who isn’t even expecting that it’s coming & the joy that you get when they receive & open it is just priceless. Love that feeling. No 1 – I will open evrrything in one go and see what can i share with others for christmas gift. 2 – the past week, i had few bad news that few people i’ve known or cross path had gone too soon. Make me start to appriciate everyone i meet in life. Maybe not a random kindness but now even to people i hold grudges i start to forgive them and myself and start with smile to them. We never know what people gone through. Aww, I just missed this contest by.. 6 hours? ? Yeah at first I was feeling a bit weird that PB is hosting a giveaway on this blog. ? Good luck to everyone who’s entered this giveaway.